When you’re streaming music from Spotify – or local files from your NAS, there are many “clocks” in play. These clocks are important and help reduce drift and improve the timing of bits in digital music. If you’ve missed it, I’ve gone over the importance of word clocks for digital audio here. In addition, these clocks introduce a level of phase noise or jitter, which traverses the audio chain as well. Anyway, this phase noise, along with power and ground plane noise, coalesces in a fuzzier sound. Which means there are just less shape and dimension to the music. Now until you’ve heard what a better digital clock could do, you’ll probably think your system can’t get much better. 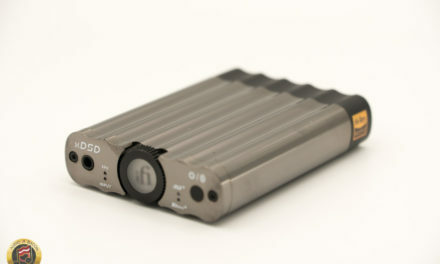 There have been many reclockers by Schiit, Wyred 4 Sound, and UpTone Audio. 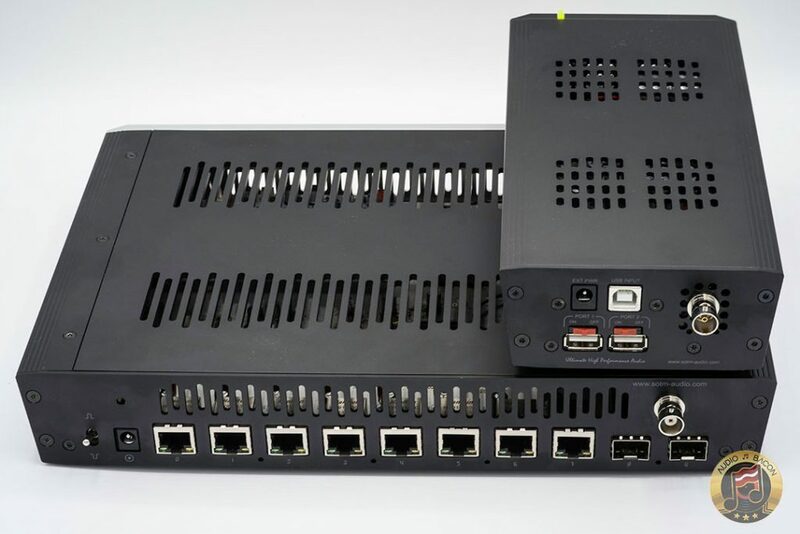 The SOtM Trifecta, in particular, takes it to an insane level by syncing their super clock (sCLK-EX) across the streamer, USB regenerator, and Ethernet switch. Each of these products attempts to improve timing by isolating noise via circuitry – and using a more accurate clock. For example, instead of a cheap crystal oscillator, they’ll use a high-quality oven-controlled crystal oscillator (OCXO) with much better short-term stability. This is great for audio whereas rubidium clocks are unnecessary and TCXO clocks are usually way too noisy. In every system, there’s typically a local/internal master and slave clock – say, on a typical motherboard. The master clock, which is the reference clock, helps “time” other interfaces and usually operates at a lower frequency. This clock is used as a “baseline” for Phase Locked Loop (PLL) circuitry – which converts it to a higher frequency suitable for the interface at hand (USB, etc). For example, the master clock could be 10 MHz, but 25 MHz for Ethernet and 24 MHz for USB. As you’ve probably surmised, the sonic performance of your other devices depends heavily on the precision of the reference clock. Now, if we want to synchronize these slave clocks, we’ll need an external master clock. Obviously, these slave devices will need to have a master clock input. Luckily there are plenty of products that support either a 50-ohm (Asia, Lab) or 75-ohm (Studio) master clock BNC input. Here’s a list of compatible DACs, servers, reclockers, and transports compatible with the 10 MHz Mutec REF 10 master clock – the subject of this review. 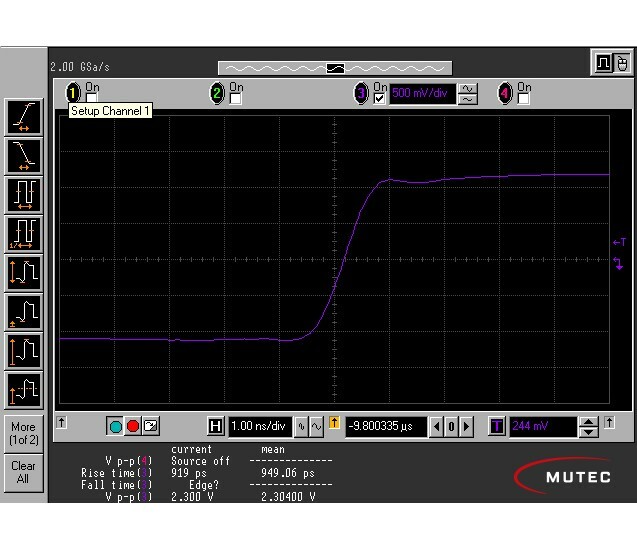 Based on our knowledge of the importance of a clock signal’s rise time (steepness of the edge) for the audio performance, we chose a very high slew-rate, lowest ripple square wave signal for the REF 10. In contrast to the low slew-rate sine wave signals used by competing brands, this leads to superior lock precision and therefor minimized jitter at the receiving end. As a result, connected devices like DACs (D/A converters) and audio clocks will sound even better. 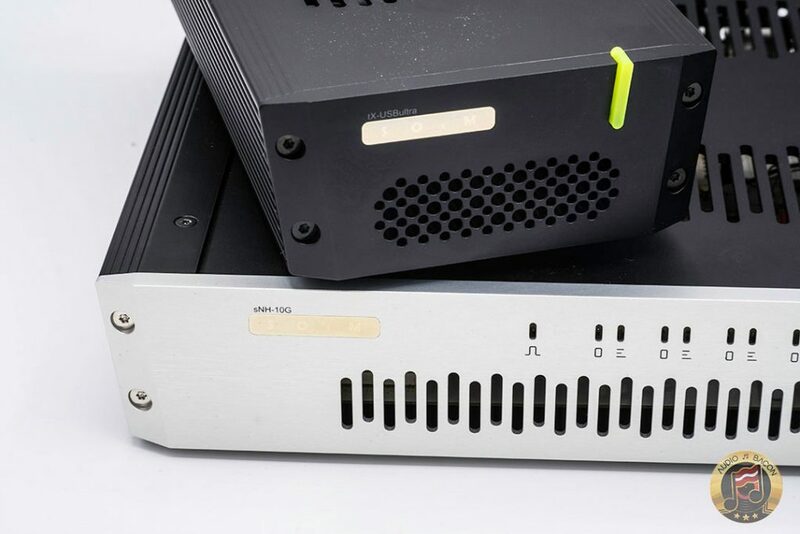 The REF 10 has a dual linear power supply based on a German-made toroidal transformer. It provides a dedicated transformer winding for the sensitive, proprietary OCXO that is completely isolated from the surrounding circuit. The power entry module offers enhanced low-frequency filtering and superior EMI immunity. As part of its mechanical design, there are no open, unfiltered power cables inside the unit unlike many other products on the market. In order to shield the REF 10 from RFI, circuit boards are placed in a 1.5 mm thick steel enclosure, which isolates the sensitive electronics from outside electrical disturbances. All output stages are galvanically isolated. Every BNC reference clock output can be switched off individually so that only the currently desired outputs for a given setup need to be active. This feature further adds to our measures to keep mutual interference and system load as low as possible. 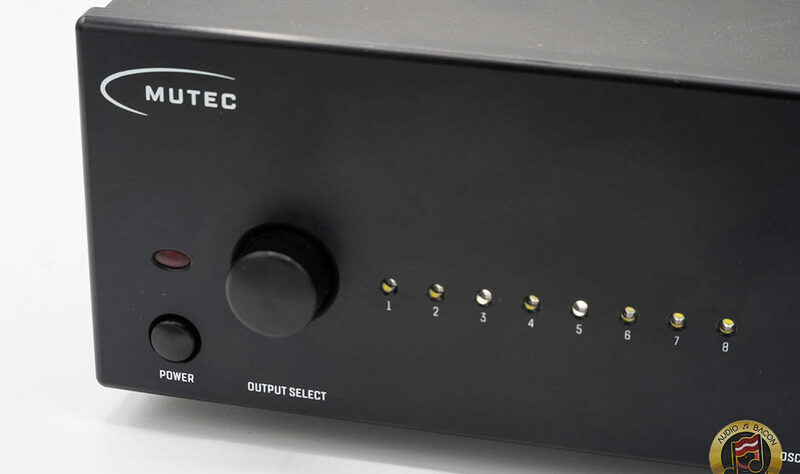 I’ll be testing the Mutec REF 10 with the SOtM tX-USBultra SE ($1,470) and their new sNH-10G switch ($1,700). Both have 75-ohm master clock inputs and are powered by a Paul Hynes SR7 (Zenwave 7N Copper DC cables). 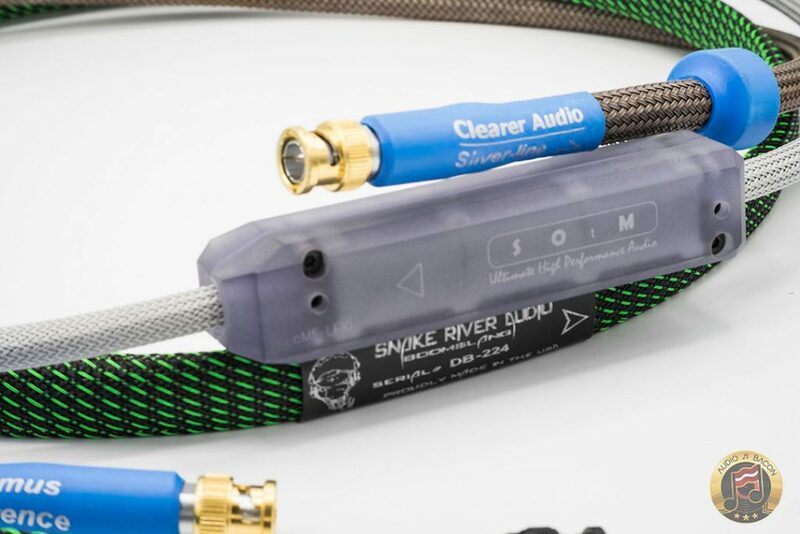 I used Snake River Audio Boomslangs BNC cables for the majority of this review. There are only three buttons. Two of them are power switches, and one of them is a push-button, rotary output selector. Rotate to your output and push the button. When you see a solid white LED for a given output, that output is on. Once the blue LED stops flashing, that’s it. Also, your last settings are always preserved when powered back on. Keep away from any mechanical vibrations. 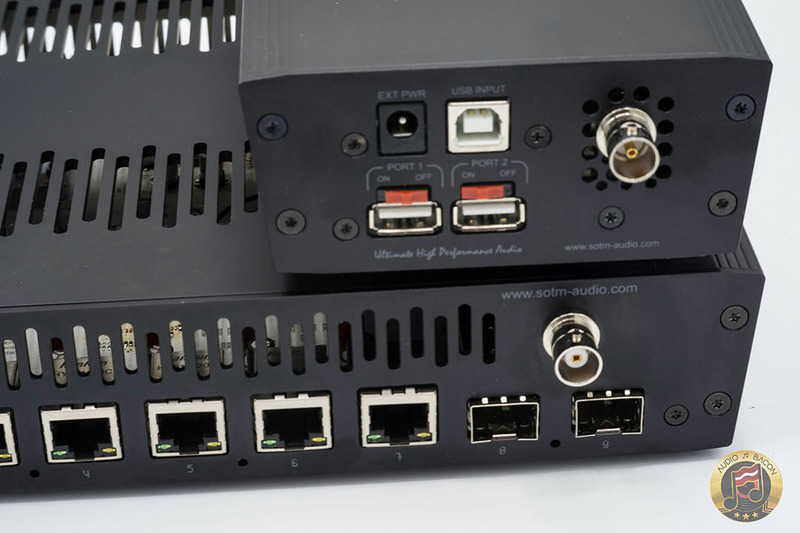 Mutec suggests the shorter the BNC cable, the better. So 0.5m would be ideal. 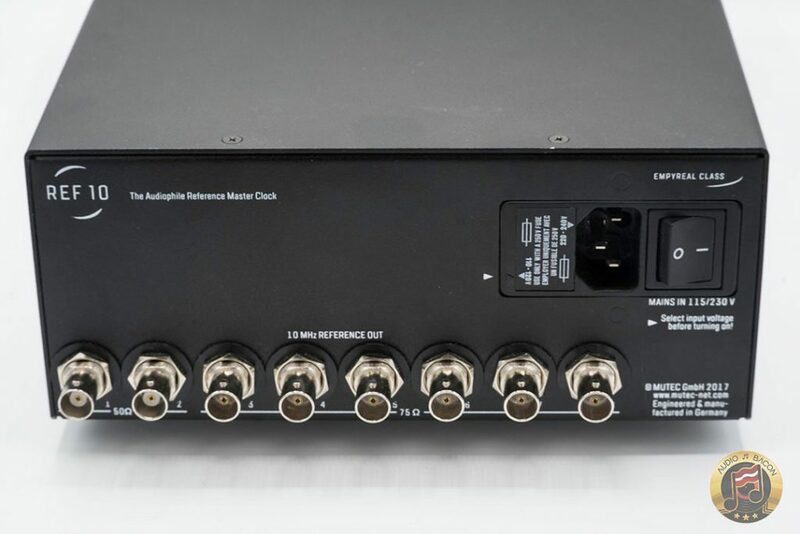 A longer clock cable will supposedly introduce more noise. As opposed to a clock cable, a SPDIF cable is the opposite. Too short of a cable and you’ll get reflections. 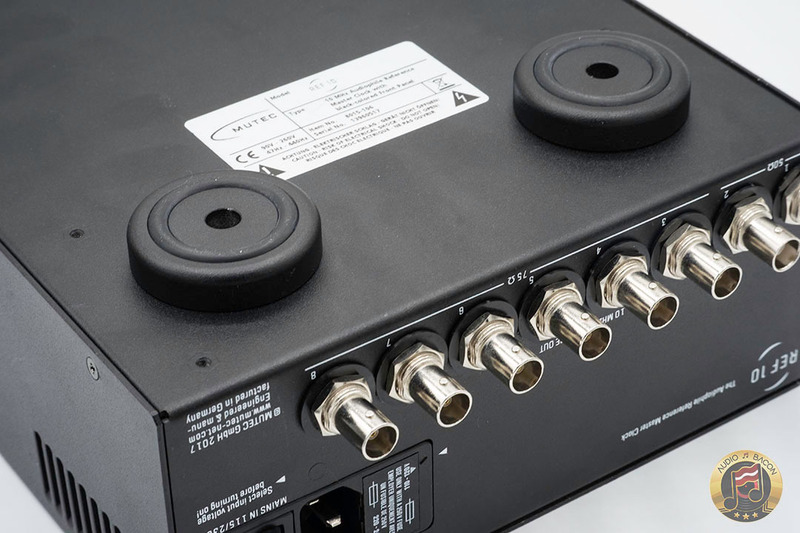 A 1.25m minimum is recommended for SPDIF. The review unit was fully broken in but Mutec recommends 14-days. It is recommended that you only enable outputs you’re using and disable the rest. At least with the SOtM tX-USBultra and sNH-10G switch, if the master clock input is not in use, you should detach the BNC cable. Even if the Mutec REF 10 is off. I suspect there are some impedance variations when a BNC cable is attached to the master clock input of the SOtM products, even when it’s not in use. I experienced something similar with SOtM’s own master clock. I’ve just gotten used to just restarting the SOtM products whenever I do my A/B testing. If you’re using a Chord Electronics DAVE with an M Scaler, I would recommend turning the HF Filter OFF. It seems to be the more tonally accurate setting – at least for me. If you have a Synergistic Research Tranquility Base, plug the ground plug directly into the wall, and not a conditioner. You’ll get better density and tone. One thing that’s immediately obvious with the REF 10 – your components will take on the tonal character of the BNC cables attached to it. The hue (warm, cool, golden, relaxed, oiled-skinned, etc) of the cable determines the timbre instruments will sound. Now, technically these cables shouldn’t have an impact on the signal, just the timing. But each cable has it’s own resistance, inductance, and capacitance (they’re not zero)…so that sonic footprint will carry over. 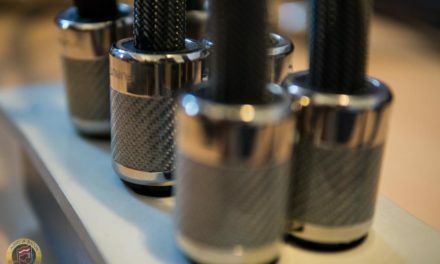 I’ve already done the heavy lifting and have compiled a list of suggested cables here. I’ve tried every single one of those cables on the REF 10. It’s amazing how consistent the sound was, even when these cables weren’t used between similar digital devices (D/A vs clock). 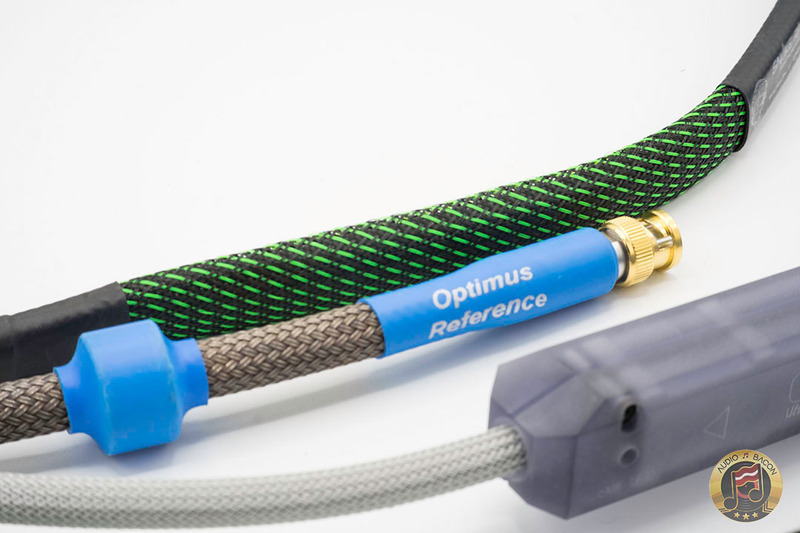 You could definitely tune your sound with these cables. The cheap Monoprice BNC cable sounds great for the money. Just keep in mind it could sound worse with a bad cable. Especially if you grab a cable from the graveyard. As far as quick suggestions, the WAVE High Fidelity Storm Reference cable is great if you want a deeper, darker sound. The SOtM dCBL-BNC75 is a more resolving and articulate, while the Snake River Audio Boomslang is a balance between the two – with a tonal shift towards the SOtM. The Synergistic Research Galileo UEF cables will also allow you to listen to your music in a new light – but it comes at a cost. 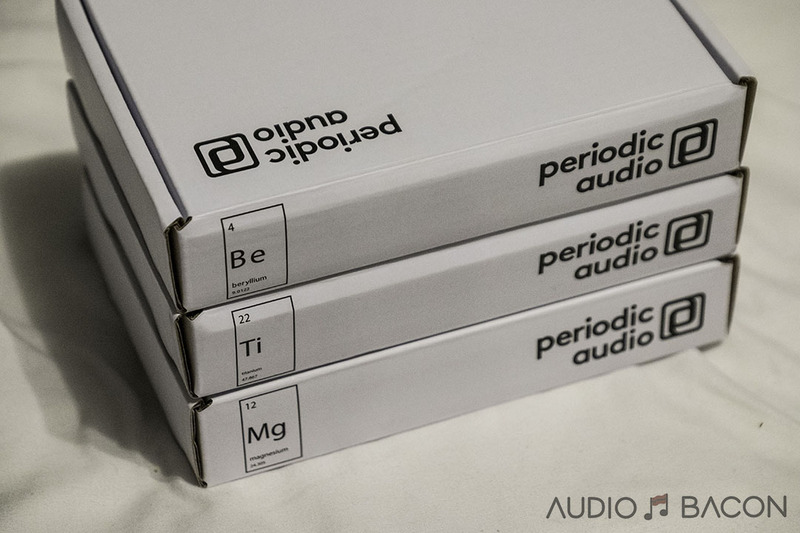 The Clearer Audio Silver-line Optimus Reference is also another top pick with great body, smoothness, and resolution. One of the greatest things about the REF 10 is its high immunity to the power conditioner and cable used. This speaks volumes on the quality of their power supply as this is typically the exception rather than the rule. Come to think of it, it’s probably the only audio component I’ve tested so far that has this, what I deem as, unique quality. I used both a High Fidelity Cables MC-6 Hemisphere and modified Furutech e-TP609 with GTX-D NCF outlets…and even a cheap Belkin surge protector. Admittedly, the Belkin was a little bit harsher but workable. 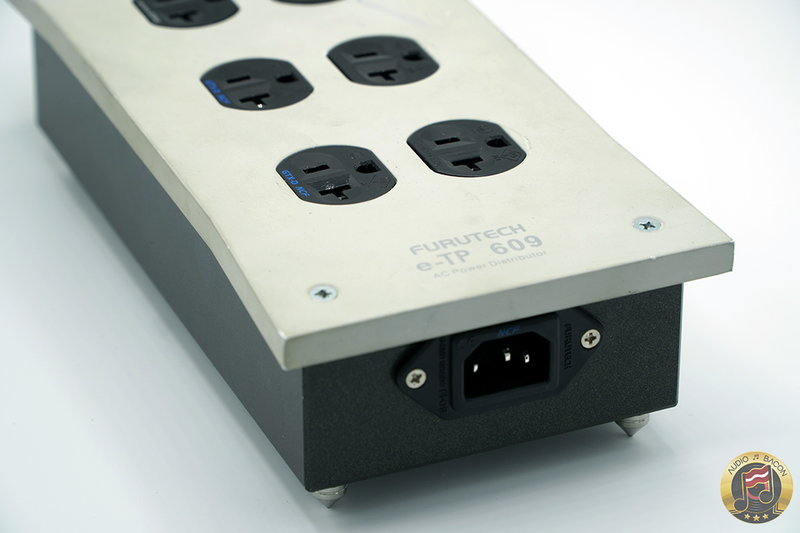 For power cords, I used a $1,200 Furutech DPS-4 and $6,000 HFC CT-1U power cord. To my surprise, the differences were very small – even though these cables differ greatly in tone. Don’t get me wrong, there are slight improvements with a conditioner and a better power cord but they probably won’t be deal-breakers. Especially relative to what the Mutec REF 10 does for your system. Although unnecessary for most, I would still upgrade the stock power cord. The stock cord has more grain and hash while a Vovox Textura will be smoother. 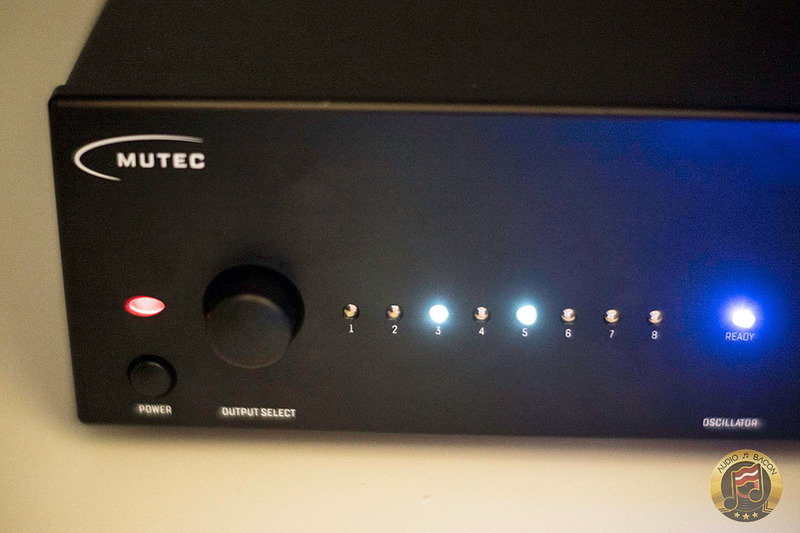 In short, I wouldn’t spend too much money on a power cord for the Mutec REF 10. 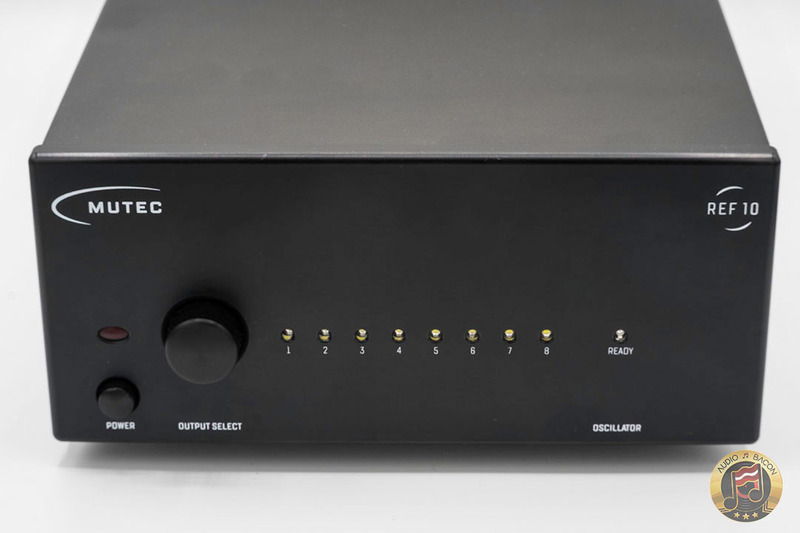 Although the Mutec REF 10 clocks each output the same, the component being clocked could “react” differently. For the curious, the tX-USBultra I have is fully upgraded with EVOX capacitors and 7N copper DC leads. I tried out every permutation (different power conditioners, amplifiers, BNC cables, etc.) and tested the clocking of each of these components in isolation. Having the REF 10 clock the tX-USBultra gave it more treble energy, air, and resolution. With the SOtM sNH-10G, the better master clock creates a warmer, fuller, and smoother sound. 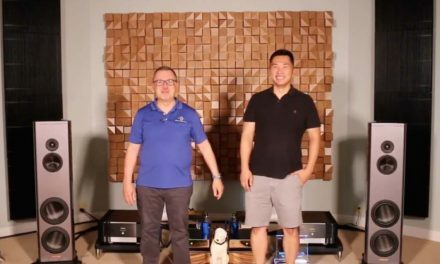 I feel the timbre was more accurate when the sNH-10G is clocked – while the tX-USBultra sounds more hyper-toned but quieter and more spacious. The combination of the two gives you a magical balance of body and clarity. If I were to just clock one device, it would be the SOtM switch. It just makes the music more shapeful and wholesome. The switch itself is probably the best I’ve ever heard (I guess at $1,800, it should be), but it’s much further elevated with the REF 10. Quick note, this SOtM switch, even without the REF 10, is transformative from a sonic perspective. It sounds really good. Review coming soon. The combination of both REF 10 and sNH-10G is absolutely exquisite. Include the tX-USBultra and you’ll be listening to digital audio in a whole different light.